Since I haven't had much time for photography this Fall I thought I'd post something from last year. These shots were taken in a local cemetary with my old camera the Fujifilm s700. 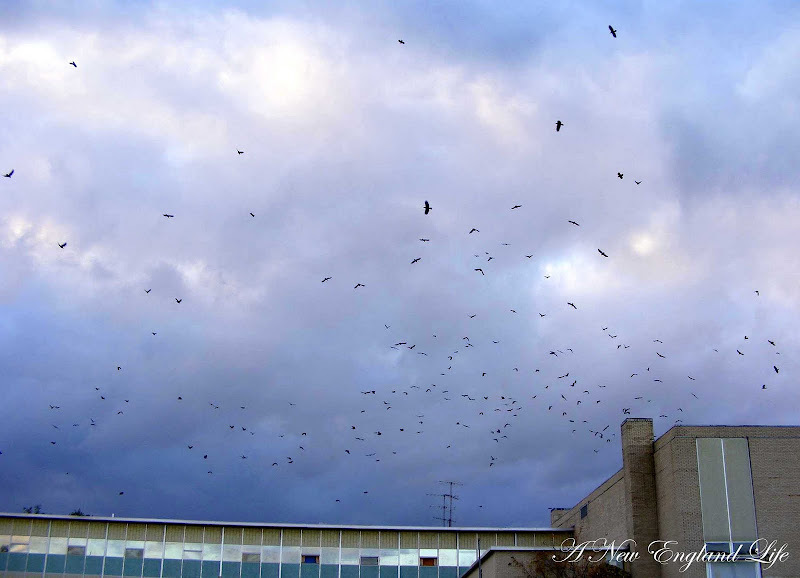 Both of these Crow shots were taken out behind an old, boarded up local High School just before dusk. It was really cool to see so many at once! * I would like to take a moment to thank everyone who left such kind and thoughtful messages for my Mom. It's been a tough week and I spent all day Thursday and Friday at the hospital with her while they tried to manage her pain. She's back at home now but the pain is still debilitating. Her appointment with a back surgeon is on the 27th. It can't come soon enough! 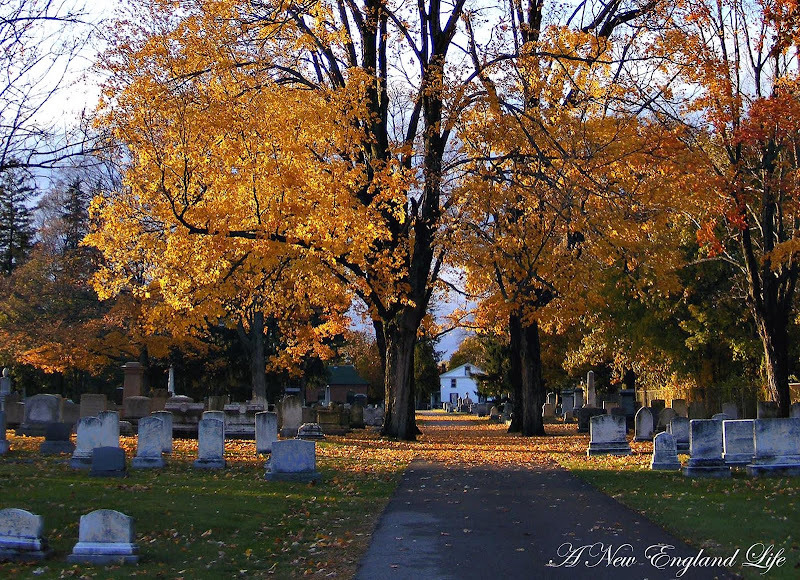 The contrasting colours in the cemetary pictures are delightful. I loved them. I truly hope your Mom soon has some respite from her pain. The surgeons must be able to do something for the poor soul. Gorgeous photos - love the colors in the sky! So sorry your Mom has to wait a couple of weeks to see the surgeon. I know the stress you are going through, and it is no fun! Take care! Beautiful pictures. If that is the high school I think it is there are often lots of ducks hanging out in a pond out back. I hope your mum is feeling better real soon. Beautiful photos yet again Sharon! I will be praying that your mom's pain subsides. Beautiful fall pictures. Hope your mom is feeling better soon. It's been so windy and rainy the last couple of weekends that I have not been out much. Last weekend the graveyards have not turned yet here. I hope I can get some shots in before snow flies...oops, I hear from the guys at work that NH got some snow! Oh, I am so sorry about your Mom. I don't know that there is anything that hurts worse than a person's back. It makes your whole body hurt. I hope she gets it all taken care of soon. The photos of the cemetery are beautiful. Did your mom have a cortisone shot? LOVE,LOVE,LOVE thise cemetery shots..they are gorgous..
Oh, Sharon. I had no idea about your mom. Pain is completely debilitating but she is so lucky to have her daughter. And your photos with the Fujifilm camera are quite breathtaking. Lovely to see. 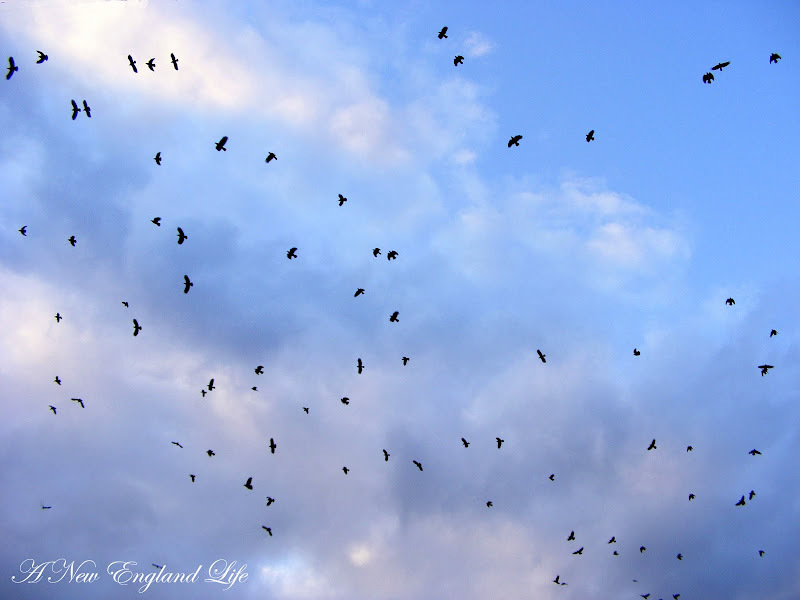 There is nothing particularly notable about the crow pictures, but I love them - the sheer numbers - maybe because of the complexity of these birds, their culture, communication, and smarts. Sometimes just the subject makes for a photo that grabs a person. Sharon loved the photos, especially the cemetery shots. I love roaming through old grave yards admiring the old stones. I will keep you and your mom in my prayer's. My husband has dealt with back issues over the years so I can sympathize with you both. Blessings. I haven't visited for a while and didn't know about your mom. I hoope she's feeling better and that the surgery does the trick for her. 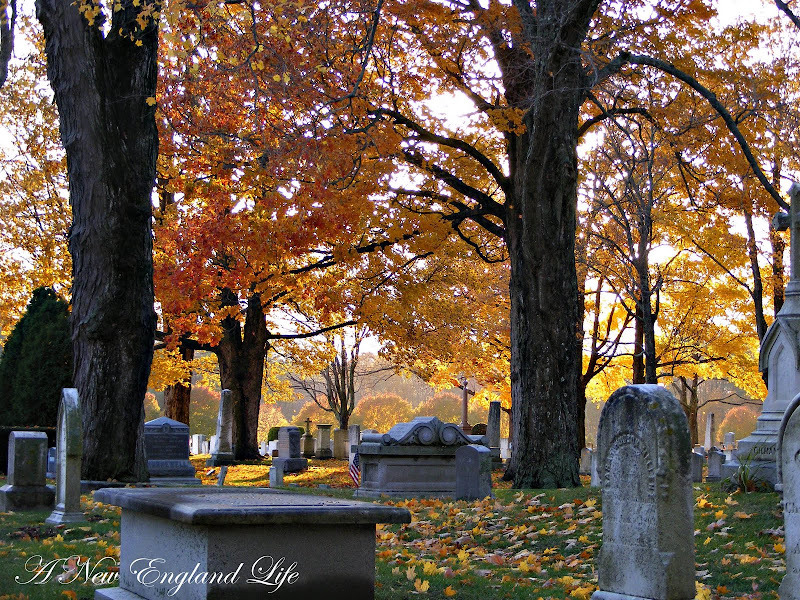 Beautiful pictures of the cemetary. My older daughter loves old grave yards! I love crows. If people would take the time to watch them, they would laugh at their antics! Hope your Mother is feeling better today. Sorry she is having to wait. :( Great pictures - thanks for sharing. I recently ran across some pictures I took this time last year that I had forgot about. Just as beautiful as they were last year! -Mike M.
There is something about cemeteries that beg for photos, isn't there? 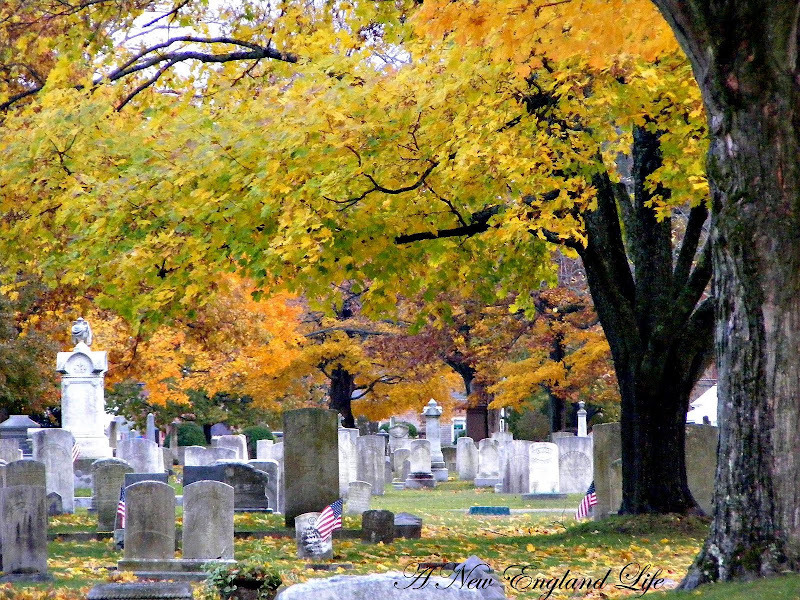 I loved the contrast of the gray headstones and the colored leaves...and the whole death theme in it. I am really not one who enjoys cemetaries, but I have to say the colors really take away the 'creepy' factor. I especially like these because when I think of fall I think of NE and Halloween. So cool! I've always been drawn to the melancholy beauty of cemetaries. These photos are quite lovely.